At Eglinton Flying Club, our friendly and experienced instructors have a passion for flying and an exceptional customer focus. We offer an exhilarating and affordable experience with a guaranteed customer satisfaction across County Londonderry. 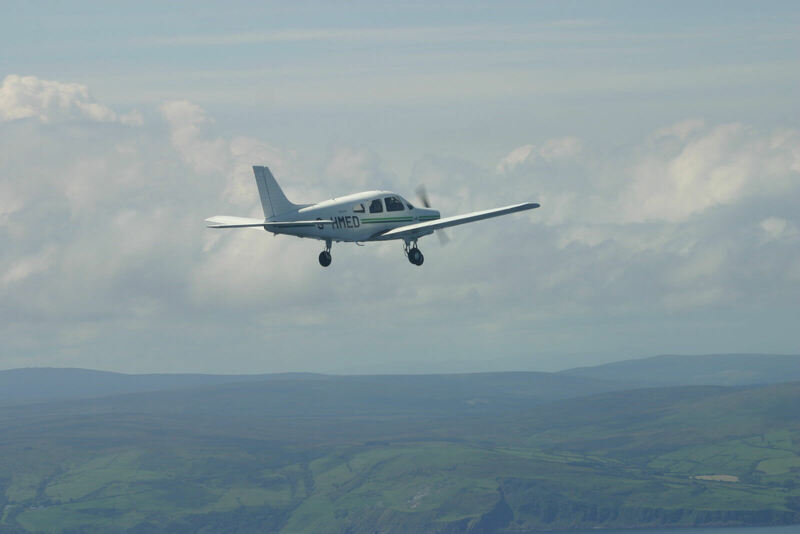 Through your extensive flight time, you will explore and uncover the beautiful North coast of Northern Ireland. We are proud to be able to provide the chance to learn to fly with the highest level of instruction Londonderry has on offer. The Eglinton Flying Club gives you the opportunity to fly in our Piper Warrior III or G-HMED. Our quality flight training has helped many of our former members go on to have successful careers in aviation, with several individuals even going on to become airline pilots. With 50 years of experience, you can trust the proficiency of the flying lessons and trial lessons we offer. Our gift vouchers provide you with the opportunity to buy a loved one a unique flying experience. From as little as £90 for a package for up to 3 people, Eglinton Flying Club vouchers are the ideal gift for any thrill seeker. You can explore our range of gift vouchers online today.